Florida Medicare or Medicaid Fraud Abuse? Been Charged in a Florida Federal Court? Looking For A RDAP Federal Sentence Reduction? If you’re a healthcare provider, and been arrested for Federal Medicare or Medicaid fraud in Florida, you’re not alone. In 2016, more than 80 cases of Healthcare fraud were charged in Florida U.S. District Courts with over 300 people arrested and facing federal custody. According to FBI statistics, Florida is in the top 5 states for Healthcare Fraud in the U.S. Many of those convicted face stiff Federal prison sentences. Medicare and medicaid fraud penalties range from 5, to 10, to 20 years or more plus monetary fines and penalties. In June of 2016, in just one case alone, over 100 people were charged with Medicare Fraud pursuant to 18 USC 1347 in the U.S. District Court for the Southern District of Florida, as defendants in the largest National Health Care Fraud take-down in U.S. history. Among those arrested and indicted were doctors, nurses, physical therapists and other licensed medical professionals along with health care company owners for conspiracy to commit health care fraud, violating anti-kickback statutes, money laundering and aggravated identity theft. Collectively they were were accused of conspiring to submit a total of approximately $900 million in fraudulent billing. 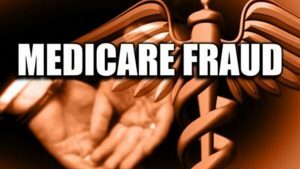 To combat skyrocketing Health Care Fraud in Florida, the U.S. Department of Health and Human Services, Office of the Inspector General has established a Medicare Fraud Strike Force Team consisting HHS OIG, FBI, Homeland Security, U.S. Postal Inspector, the FDA CID, and several other federal law enforcement agencies to deal with major Medicare and Medicaid fraud cases in Miami and Tampa, specifically targeting healthcare fraud and abuse. If you’re facing time in Federal Custody and would like to participate in a legal Government sanctioned “Early Release Program” contact us ASAP! Wall Street’s prison experts have extensive knowledge of Federal Laws, the Federal Court System, and inner workings of the Federal Bureau of Prisons. Our goal is helping defendants obtain an RDAP Federal sentence reduction and Second Chance Act early releases when possible. We train clients in prison survival tactics while assisting them in getting back to their loved ones quickly as possible. Wall Street Prison Consultants cannot and will not make legal decisions for clients. Our job is to bring relevant case information to clients their lawyers, or paralegal may have over-looked. Legal issues overlooked could have serious implications regarding the time a defendant is sentenced to. This can include monetary fines along with restitution.